Writing emails has become one of the standards in communicating between one person to another. This is because it is able to deliver its message in a matter of seconds. Because of this capability, emails have also been used as a vehicle for making marketing campaigns by businesses. Through emails, marketers are able to send multiple marketing emails to different contacts, and in very less time. But composing beautiful and reliable emails may require some extra time and effort from the marketer. Thankfully, there are email newsletter and marketing tools available on the internet that can help marketers achieve what they intend to do for their prospects to convert them into actual clients. Below are some of the best tools available online, you may want to check them out yourselves. In marketing, giving the same exact message to a group of recipients is never advised since people will always have their own interests and preferences. As a marketer, you will usually be required to determine what your clients want to be able to deliver what’s appropriate for them. And with ActiveCampaign, you wont have to worry too much about that since this tool allows you to easily discover what every client wants. This tool helps you learn about each of your clients, so you can take advantage of their desires for sending appropriate personalized messages. For mockups to help inspire you, you may want to refer to our list of newsletter mockup designs. 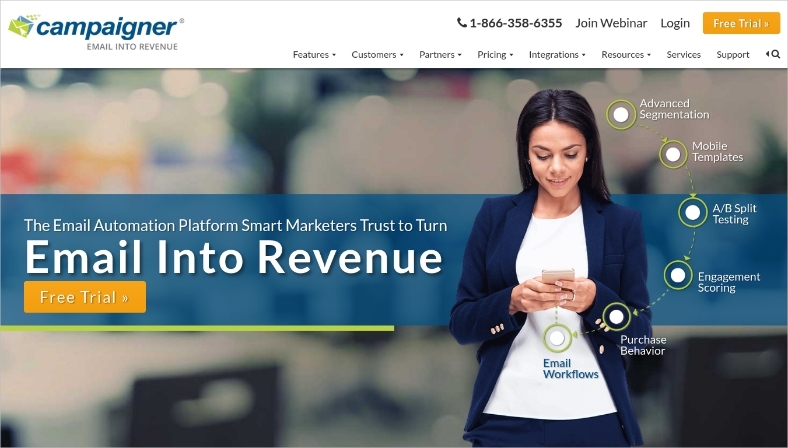 If you are looking for an easy-to-use email marketing tool that has been used by a lot of businesses, then maybe you should consider trying out AWeber. Use the same tool that is being used by over a hundred thousand small businesses all over the world for sending marketing and automation messages to clients. 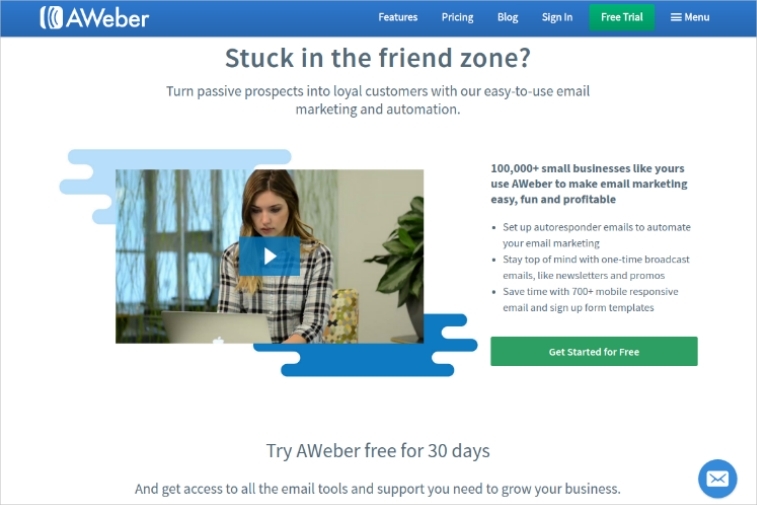 With AWeber, you will be given an entire month to try out the tool absolutely for free, and this trial period will already give you access to all its email tools, customer support, and over 700 form templates. Make your marketing experience easy and fun with AWeber, and turn your prospects to loyal customers. Whether you are in the sales department, or a real estate agent, or in any position that will require you to send out marketing emails to your prospects, BombBomb may work perfectly for building trust, converting prospects to leads, and also getting referrals. What’s great about BombBomb is that it doesn’t limit you to just send out regular emails for your recipients to read, it also allows you to attach a video with the message to further show your sincerity to your prospects. While sending out marketing emails have become the norm nowadays, adding a video to it will further help your message to stand out. On the website, you will be given an opportunity to try out their suite for 14 days, and it won’t even ask for your credit card. And aside from that, the landing page of the website also has a 90-second tutorial video that you can watch for free. 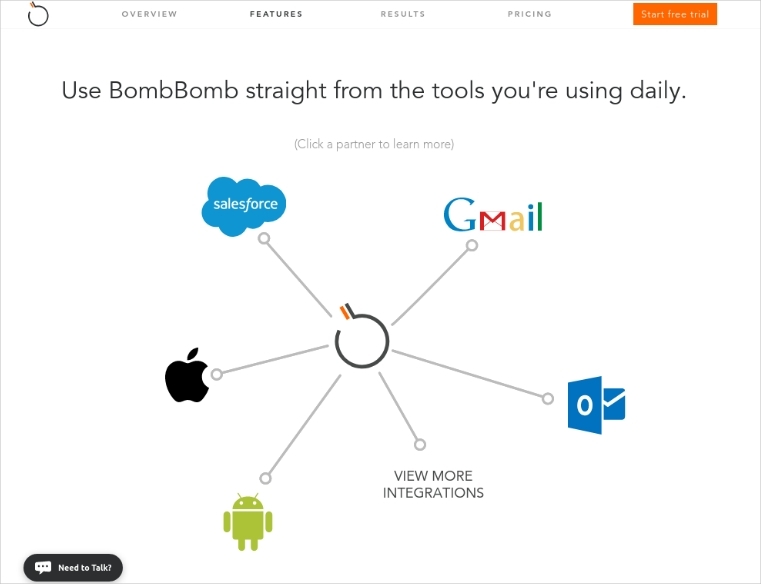 This informative video will guide you on what to do to be able to achieve successful results using BombBomb. For heavy WordPress users, you may also be interested in our list of marketing WordPress themes and templates. Have you ever tried designing email marketing campaigns? They may be quite stressful to do unless you rely heavily on pre-designed templates that you will only need to customize. Marketers will usually prefer to make one from total scratch if they want to gain more freedom over their campaign materials, and if this is also what you want, then let Campayn help you out. 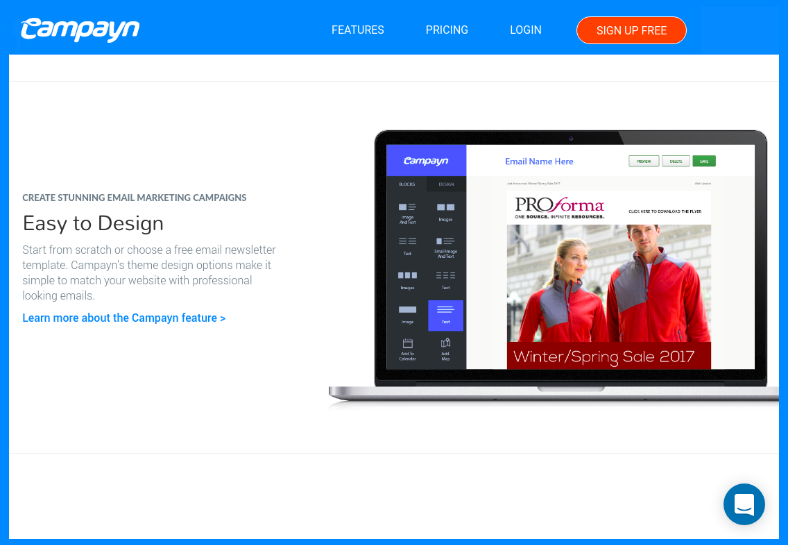 With Campayn, you may be able to easily make stunning email marketing campaigns whether from scratch or from using newsletter templates that can be downloaded from the internet. To save you a lot of time, you may also be able to send automated personalized emails to all your contacts using the tool’s smart workflows. This tool has been trusted by many of today’s successful companies such as Avon, Hyatt, and Mercedes Benz. As mentioned earlier, every prospect will always have preferences that are unique from others, and to enable a business to grow and gain the loyal clients that they need, they will need to address to those preferences during the marketing phase. The most common thing for marketers to do is to organize their list of contacts according to what they want, and then send individual emails to those contacts. Now, what if we told you that there is actually an easier and more time-efficient method for doing that? With EmailDirect, you will be allowed to add details to your contacts in your list with regards to what they are looking for. This way, you won’t need to bother about arranging them to different lists, you only need one contact list but will still be able relate to what your contacts want from you. Designing trustworthy and visually attractive marketing emails may require you to exert an extensive amount of time and effort. If you take this for granted, then you will very less likely be able to convert your prospects into loyal customers. This is why when it comes to sending marketing emails, you really have to be precise. With Emma, you will be assured of making awesomely attractive emails that will help you get the results that you need. With this powerful email marketing tool which is being regarded as the best solution from big businesses like Dish Network and Roku, you may also be able to achieve the success that you want for your team. For designs to provide you with ideas, you may want to check out our list of newsletter template designs. Many marketers would go the extra mile in sending visually stunning marketing emails to their contacts to be able to convert prospects effectively to actual paying customers. Most would write code just to be able to make their emails stand out from the piles of emails inside the prospect’s inbox. Unfortunately, not all marketers know how to write code but are still willing to go the extra mile in making high quality and effective marketing emails. Thankfully, there is FreshMail, which allows even those who only know the basics in the computer be able to compose outstanding emails. With FreshMail, you can create stunning and effective emails with the help of pre-designed templates, and simply customize them using the tool’s intuitive template editor. For help you make the most of your email, you may gather ideas from our collection of beautiful email designs. In businesses, you may need to utilize not just one tool for doing multiple tasks, which may become a burden eventually. What if there was an all-in-one software for this? Fortunately, there is. With GetResponse, you won’t need to worry about looking for other software for the benefit of your business. 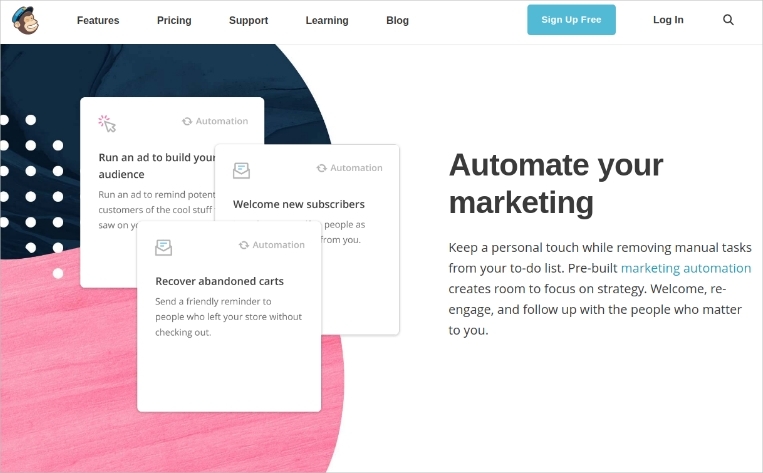 This tool is more than just an email marketing or newsletter tool, it can also help you build landing pages, make marketing automation, and also provide webinar marketing solutions. Over 350,000 business rely on GetResponse to help them in their businesses, you should too. If you want to send great emails to your prospects – whether to promote your products, provide some information, or just to tell a story – then let MailChimp assist you in doing your task. With this tool, you may be able to concentrate on your marketing strategy with the use of some pre-built automation. For new clients, you may be able to welcome them; and for old ones, you may be able to re-engage and follow up with them using this tool. What’s amazing about MailChimp is that has the ability to integrate with e-commerce providers, which can help provide marketers with a better understanding on how marketing can affect their bottom line. Lastly, MailChimp can help you make your business even better with it constant reporting feature. These reports reflect on how well you are connecting with your clients, as well as how much income you are earning. For more design ideas to inspire you on your email, you may also refer to our list of creative newsletter designs. Indeed, capturing the attention of your clients is a constantly evolving task. What may be able to capture their attention now will not always be able to achieve the same result in the future, and what may be able to capture the attention from one person may not always capture another’s. This is a challenge that every marketer will have to face. 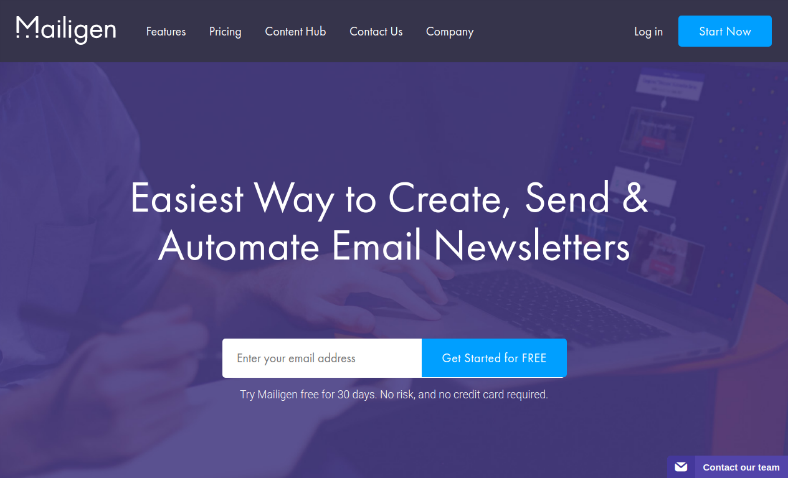 But with Mailigen, This software provides marketers with behavior-based automation tools for creating emails that are trustworthy in less time. Mailigen is also able to humanize email technology, which is a feature that most email composers are not able to provide. 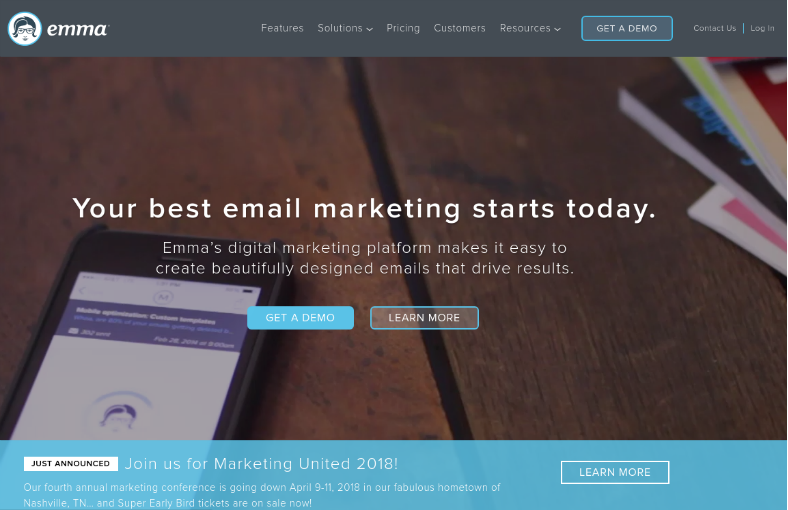 Making responsive email templates are as simple as dragging and dropping elements on to the editor, and using them for composing stunning emails to your clients that are sure to get the attention it needs. 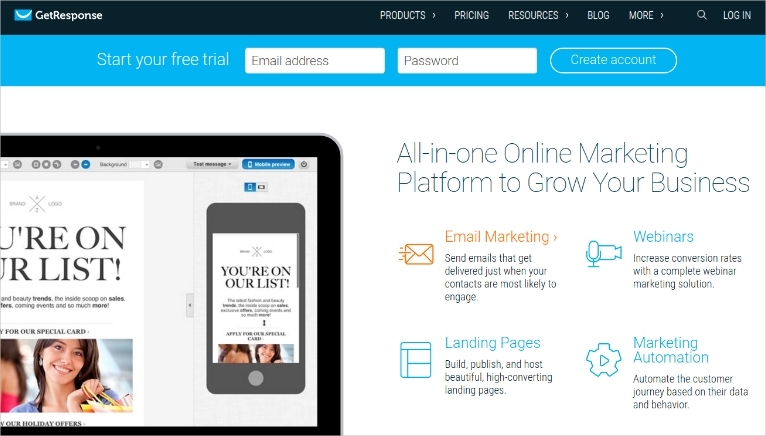 With this tool for sending beautiful marketing emails, your message will hardly be ignored. The act of writing a letter to a person is an intimate gesture, and the same thing can be said with emails. Even if you are writing an email as a marketer, and you are simply promoting something on your email, you will need to make it personal to be able to come up with the results that you need. 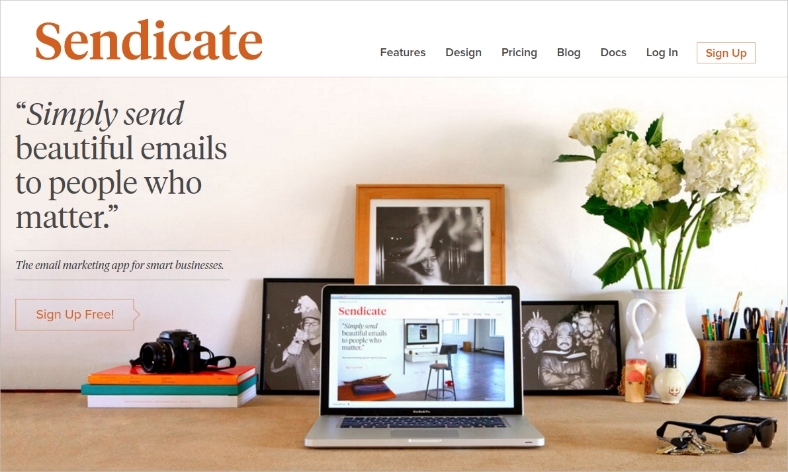 With Sendicate, it is designed simply for sending personal and powerful emails to the people who really matter, and in a fun way too. 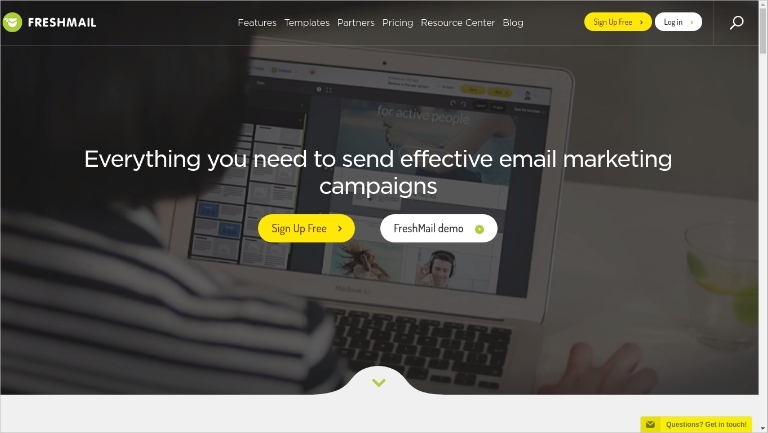 Sendicate also provides marketers with hundreds of visually compelling templates to choose from, which allows them to spend more time in writing the contents of the email rather than on dealing with its layout. This tool has over 500,000 subscribers to date, and its fully managed service is able to offer dedicated account management and results in optimization. Many marketers would make use of marketing brochures when promoting something with people who are within reach, but for those who are beyond their accessibility, they would often resort to sending emails. Regular emails already take time to make, and how much more with marketing emails that require precise content and design to be able to capture the attention of prospects effectively. 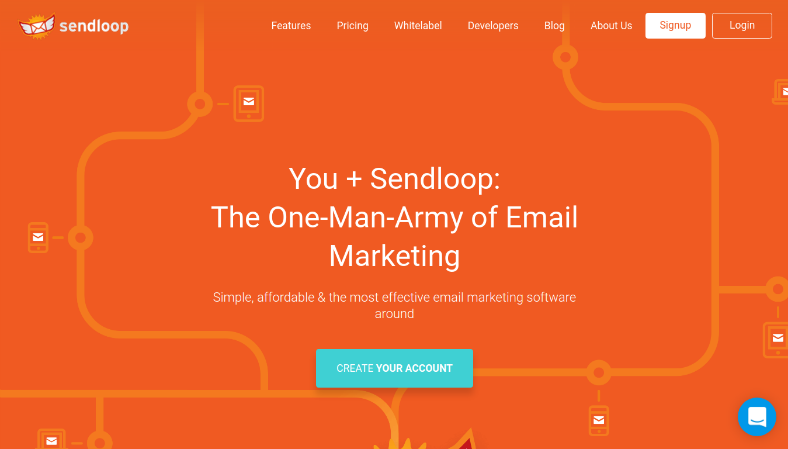 With Sendloop, you can make beautiful and high converting emails in a matter of minutes, and you don’t even need to have any programming experience to know how this software works. 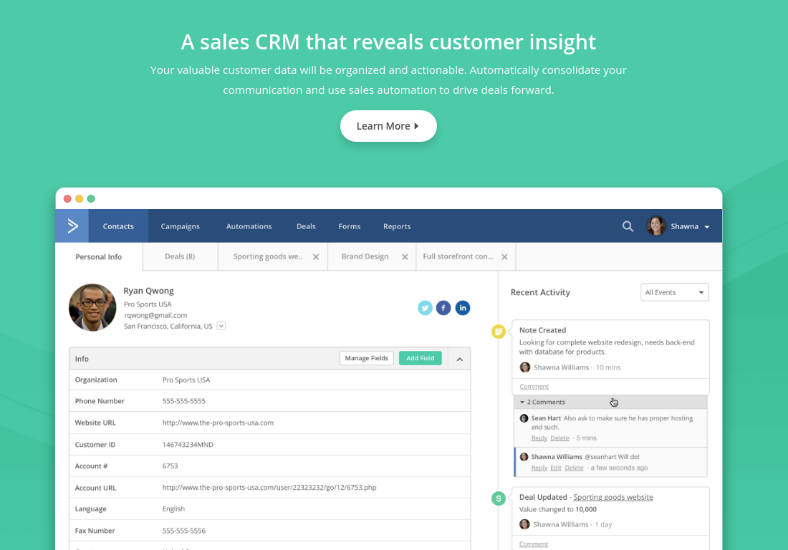 This tool can help you follow up on your leads and customers automatically, and also make advanced marketing tools accessible even to small businesses. The first question that will probably cross your mind when choosing a software is “Why This?”, which is always understandable since we always look for those that we can heavily rely on, especially for businesses. So, the question now is, “why should you trust Infusionsoft“? The answer is simple. Infusionsoft has been in the industry for quite a while already, and have contributed to the success of thousands of small businesses worldwide. With this award winning software, you may be able to engage effectively with your audience to convert them to leads, you can manage your sales processes, and you will be able to save yourself some precious time as well. 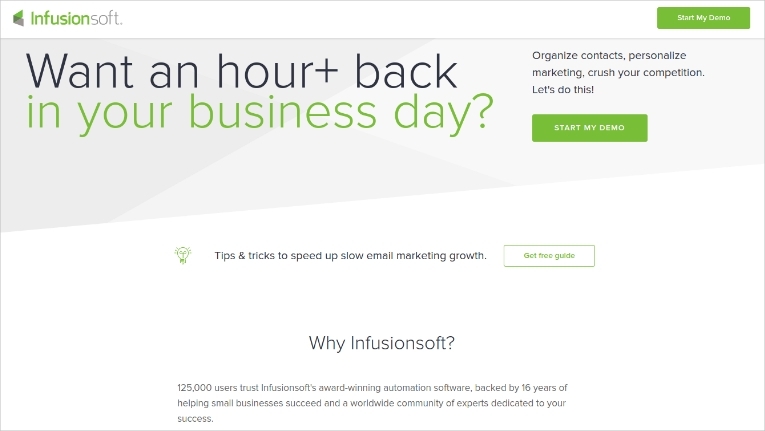 Over 125,000 users trust Infusionsoft for their businesses, so why not give it a try? 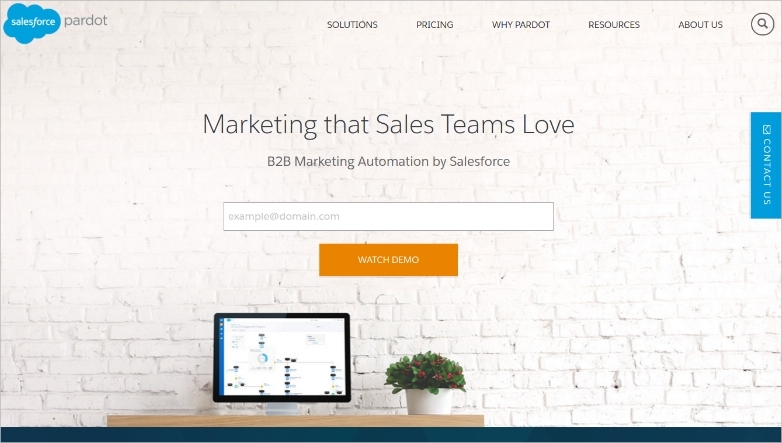 For a B2B (business-to-business) marketing automation tool that allows marketers to create and manage campaigns from a single platform, Pardot is one of the best choices out there. With this software, you can do effortless marketing through sending emails to your contacts, and it can also help in generating high-quality leads for you. Pardot can also help your business grow by allowing marketers to engage with their prospects in a smart way, and by providing sales the intelligence they require for closing deals in the least time possible. Make your relationships with your leads meaningful with Pardot even when its on its autopilot mode, so you can focus more on making your business grow. Many people today, especially business people, are on a hectic schedule and are on the go, which is why marketers should always know how to capture their attention without having to compromise their time. With MailUp, it doesn’t just send out marketing emails to clients, but also SMS messages which are more time-efficient to read for those people who can barely go online to check their emails. MailUp is one of the simplest tools to use for composing, automating, and customizing both emails and SMS messages. 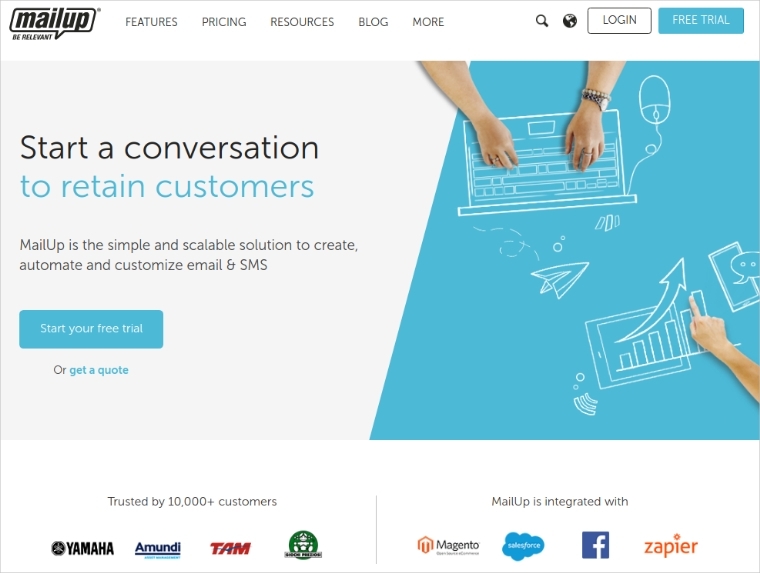 This software promises to help you out in every step of the way, from its integrations development to its customer support, it’s no wonder MailUp is being trusted by over 10,000 successful companies in over 50 countries. To compare the trends between this year and last year, you may also want to read about the email marketing trends of 2016.